Want to learn more about Primer for a Failed Superpower? 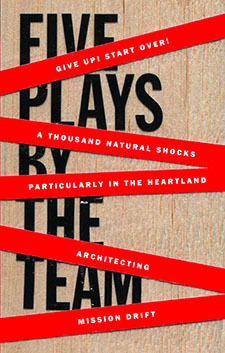 ***** An astonishingly accomplished piece of work…as entertaining as it is intellectually demanding. **** A fierce poetic snapshot of two contemporary cultures linked by history. The three distinctive actors [are] perfectly matched, giving tough, intelligent performances, masking an inner warmth behind their deadpan wit. **** Exhilarating…Raw, heartfelt and messy on several levels…Boldly theatrical. **** A trenchant critique of global complicity…attacks pieties about Scottish and American victimhood, drawing the line between fantasies of freedom and violent aggression. The gauzy dream-world of their storytelling where we can zip from West Virginia to Scotland makes this adventure magical and messy. The labyrinthine format of the show is a fitting way to explore as complex a morass as identity. Nothing is fixed. Ideas morph with time and so too must our storytelling. **** A true celebration of Scottish culture, humour, music and storytelling. Want to learn more about Anything That Gives Off Light? View more production and rehearsal photos on Facebook. Listen to music from the show and an interview with Jess and Sandy on BBC Radio’s Janice Forsyth Show. Read more about the show in these features from The Guardian, Fest Magazine, Herald Scotland, The Scotsman, and The List. Performances run thru August 26. All performances are SOLD OUT. RoosevElvis in Boston: the reviews are in! A limited number of seats and standing room have been released for our final 13 performances at A.R.T. Book now! Posted May 12, 2016 by theteam in Blog, Press, RoosevElvis | Comments Off on RoosevElvis in Boston: the reviews are in! 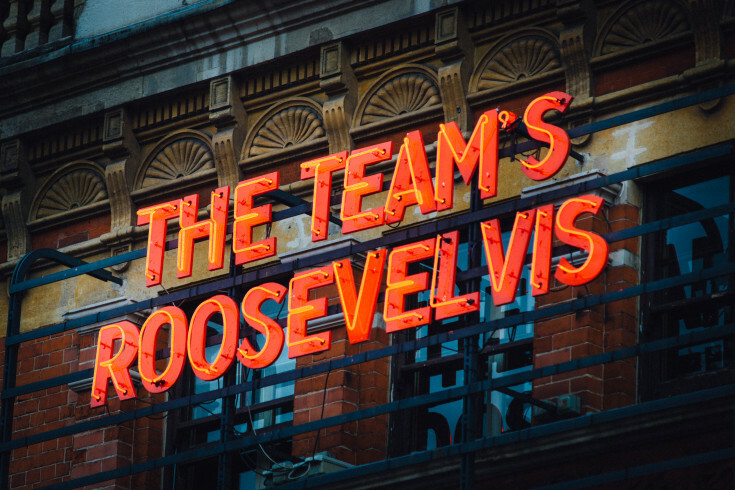 RoosevElvis London reviews are in! #RoosevElvis @royalcourt is clever, silly, epic, intimate, funny, serious, quietly heartbreaking and quietly beautifully hopeful. ADORED it. Sorrynotsorry I LOVED @theteamplays #RoosevElvis @royalcourt last night. Properly funny, imaginative and quite, quite mad. Adored @theteamplays RoosevElvis tonight. Subversive hero drag soaked in all American beer & one inspiring road trip. Posted October 28, 2015 by Manda Martin in Blog, Press, RoosevElvis, RoosevElvis | Comments Off on RoosevElvis London reviews are in! Described as a “hunk-a-hunk-a burnin’ waste,” RoosevElvis makes an unexpected appearance as #26 on Senator Tom Coburn’s annual Wastebook. Clearly, this means we’ve arrived. View the entire “report Washington doesn’t want you to read” here. Posted October 20, 2013 by theteam in RoosevElvis, RoosevElvis | Comments Off on RoosevElvis Reviews Are In! 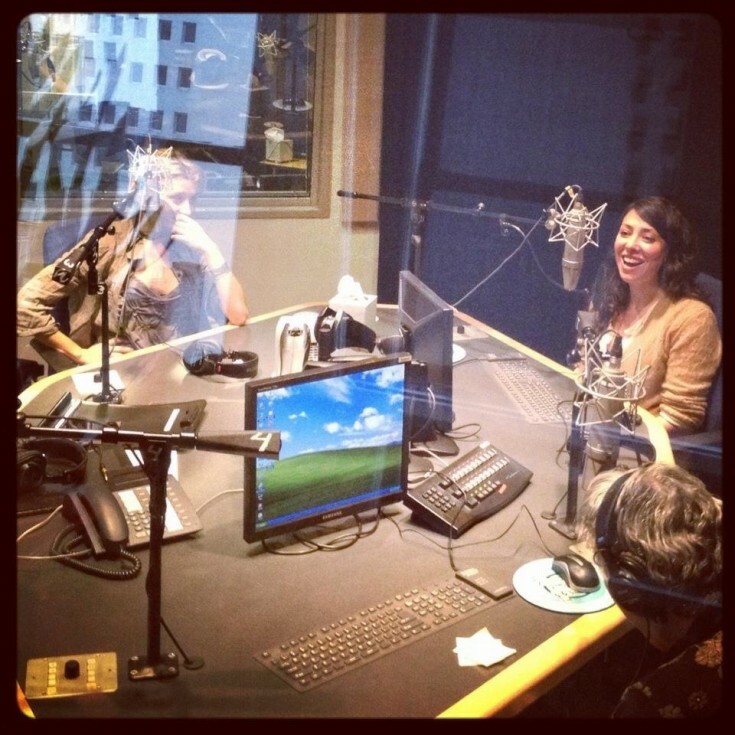 During the final week of the Mission Drift run in New York City, Heather Christian and I went over to the NPR Studios. We were both extremely excited, but Heather can testify to the fact that my face almost shattered I was so giddy. With eyes wide we followed Margot Adler as she gave us a tour of the studio. Almost everyone was out to lunch, but it didn’t matter. I saw the desk of Robert Krulwich. And we even waved at Zoe Chace and Chana Joffe-Walt from Planet Money. We sat down with Margot and discussed the work, which she’d seen previously. CLICK HERE to listen to the awesome story that she put together. Posted March 5, 2012 by theteam in Mission Drift, Mission Drift, Performances, Process | Comments Off on The TEAM on NPR! 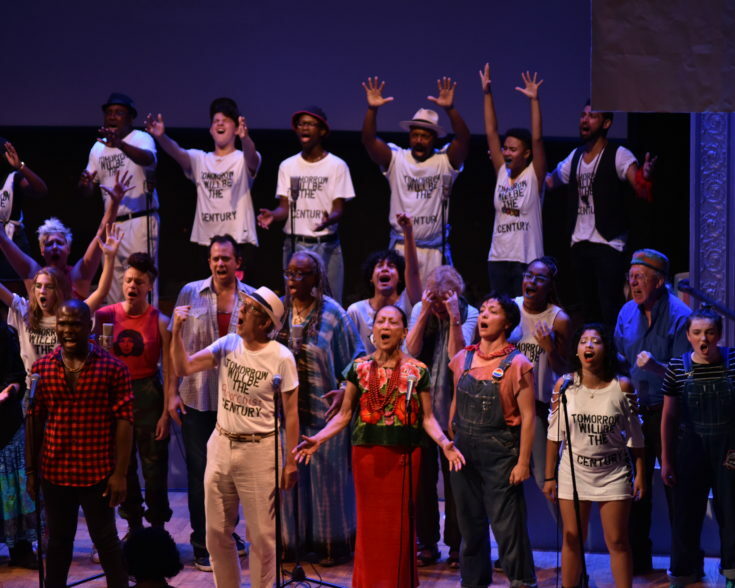 Of all of the art inspired by the global economic crisis, perhaps none is as lusty and energetic as Mission Drift, the new musical by New York theater company the TEAM. 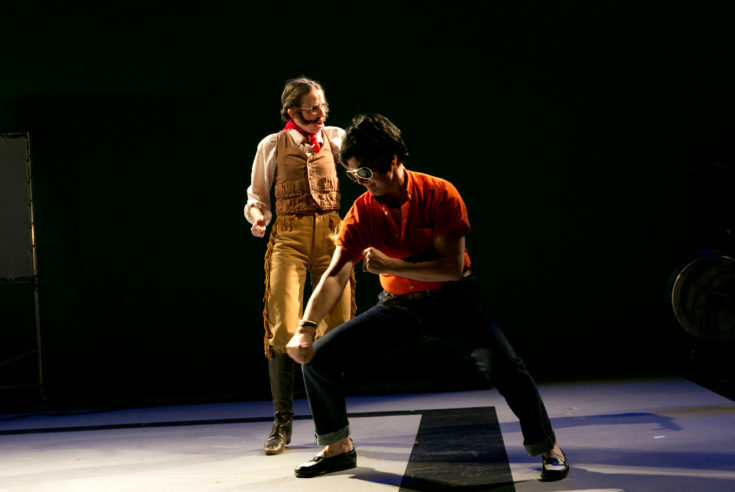 Mission Drift…succeeds in staging a staggeringly ambitious saga. The liveliest lesson on desire, destruction, and economics that you’ll see in many a year. There’s a lot about the company’s new project to take heedless, heady pleasure in… Pleasures aplenty. Mission Drift examines heady concepts without ever losing its heart. Thanks to strong writing and powerful performances, the TEAM never forgets to have empathy for their subjects… Mission Drift captures the zeitgeist while daring to suggest hope for the future. 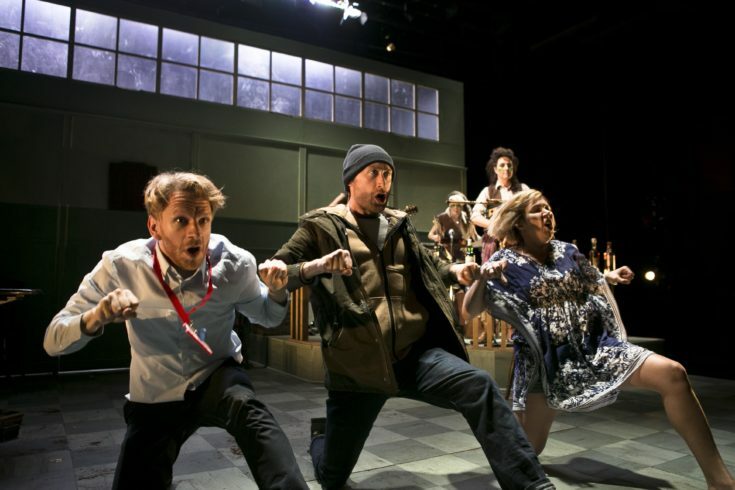 An example of a theatre company at their most muscular, tackling what theatre should be tackling… to the hauntingly remarkable musical atmosphere of Heather Christian. Exactly what I want the theatre to do to me: take me someplace I don’t know how to get to on my own. Mission Drift is one of Time Out: New York’s “20 Shows to See” this Winter! Mission Drift made the roundup of TONY’s suggestions for not-to-be-missed theatre shows this winter–right up there with Phillip Seymour Hoffman as Willie Loman and Kevin Spacey as Richard III. We’ll take it. 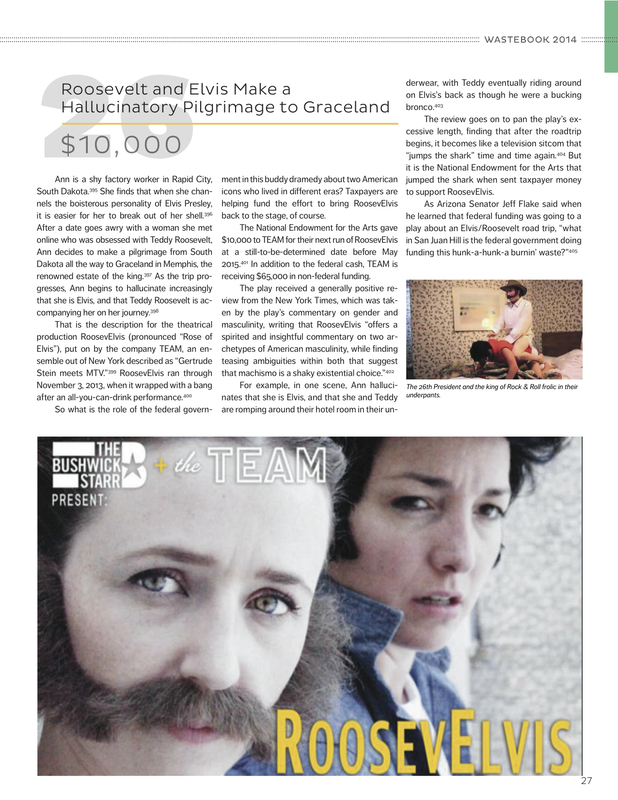 One of New York’s premier troupes… The TEAM presents it’s latest theatrical brainstorm. Posted December 6, 2011 by brian in Mission Drift, Press | Comments Off on Mission Drift is one of Time Out: New York’s “20 Shows to See” this Winter!